You could have a job making feeds for horses like Purina's Katie Young. The next time you open a bag of horse feed, examine what’s inside. There’s probably some corn, oats, vitamins and minerals. Then think about why all of those ingredients are there. It was the job of an equine nutritionist to study what a horse needs to stay healthy and then to figure out how to provide a balanced diet. At Purina, Katie Young, Ph.D., works as an equine nutritionist. “In my job, I help develop new formulas for Purina horse feeds,” says Katie. Other nutritionists there work in the research and development department, studying feeds for horses with different needs. Katie works with them and also helps make complex nutrition information easier to understand for horse owners. Katie works with veterinarians and horse owners to solve health and nutrition problems. This is a favorite part of her job. “For any horse fanatic, it’s very rewarding to have a career where you get to spend so much time with horses and their owners,” she says. The best part is when owners send her photos of their horses and thank her for helping them. Working with horse owners can also be the hardest part of her job. 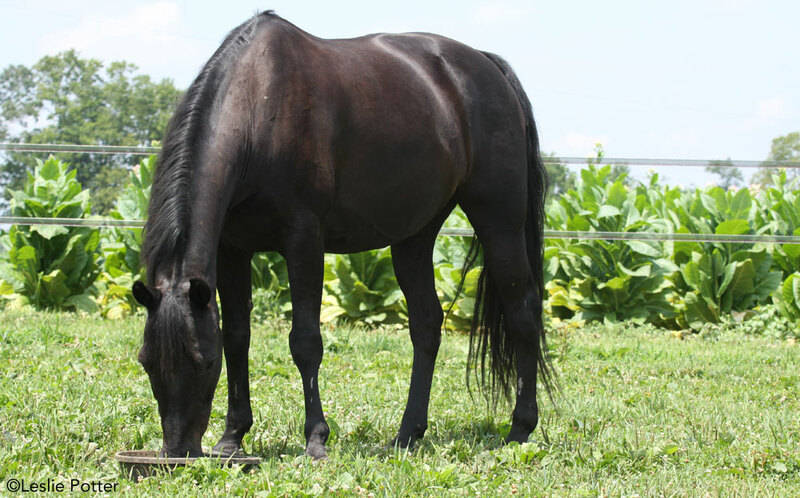 Katie says there’s differing information out there about equine nutrition, and sometimes horse owners don’t know what they should believe. “I try to educate the horse owners and help them understand the differences between science-based information compared to trends and fancy marketing,” she says. Another fun part of her job is hanging out with Purina’s Ambassadors at horse shows and at their farms. Katie recently visited eventer Boyd Martin, and every year she goes to the Rolex Kentucky Three-Day Event. She loves these trips because she’s an eventer herself. When a Purina Ambassador goes to a major competition, such as the Olympic Games, it’s up to Katie to be sure the proper feed gets delivered to the stables. As a young rider, Katie wanted to be an equine veterinarian, so she studied biology in college. Then she learned about going to graduate school for a doctorate degree (Ph.D.) in equine nutrition and physiology. “People who are very passionate about horses often find nutrition really fascinating,” says Katie. After school, she taught equine classes at Texas A&M University. When the opportunity to work for a feed company came up, she took it. Also be prepared to study hard. “As far as education, the route is very similar to pre-vet studies—biology, chemistry, physics—those are the classes that help you prepare for graduate school in nutrition,” says Katie. Now go take a look at that feed bag! You’ll see each grain a different way, knowing what goes in to making it.